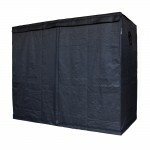 LightHouse LITE 1.2 x 2.4 is the budget tent of choice it offers an excellent grow space for 2-8 plants. The LightHouse LITE 1.2 x 2.4m² Tent comes very well equipped for a budget tent. There are also 2 x low level passive air vents with fine (anti-mite) mesh and it also includes light proof covers for when they are not in use. 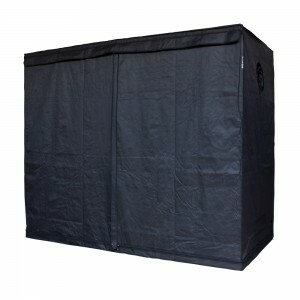 The LightHouse LITE 1.2 x 2.4m Tent is ideal for 2 large plants or 8 mid-size plants. It is ideal for a two lamp set up (2 x 600w HID) and an extraction fan of around 700-850m3/hr. Appropriately sized carbon filter options for this size tent would be 150x475, 150x600, 200x400, 200x600. Recommended fan sizes RVK 150L, RVK 200A, RVK200L or equivalent specification quality fan unit. Huge increases in yields can be realised with the use of a good environmental controller and excellent airflow. See our range of controllers, intake fans and circulating fans for some great options.